Un Livre 点点点 was originally written in French by Herve Tullet in 2010. This is the chinese translated version. As the book progresses, our young reader will be asked to shake the book, clap his hands, and many more. This book is bound to draw laughter from your little one. 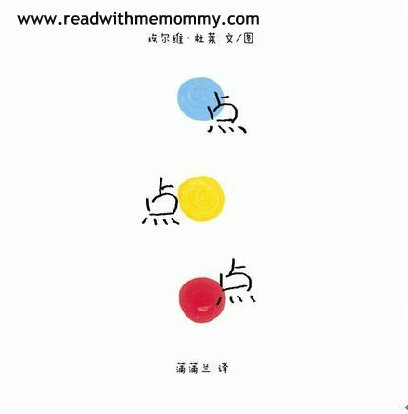 Parent can use this book to teach their child the concept of left and right, colours (blue, yellow and red), numbers (1 to 5), sequencing, sizes (big and small). You will have lots of fun reading and enjoying this book with your child. This book is in simplified chinese, with no hanyu pinyin. We would recommend this book for children of 2 years and above. For parents who are interested in the English version of this storybook, you can get it here.